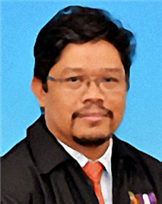 Azlan Abdul Aziz did his MSc degree in Microelectronics Material and Device Technology in 1994 and PhD degree in GaAs-based and InP-based high electron mobility transistor (HEMT) grown by MBE in 1999 at University of Manchester Institute of Science and Technology, U.K. He is now a Professor in Nanomaterials and Nanostructures at School of Physics, Universiti Sains Malaysia (USM). Since 1992, he has been actively engaged in the research field of solid-state physics and materials science; in particular, amorphous and nanostructure materials designed for sensors application. He is currently one of the lead researchers at Makmal Nano (NanoLAB) and as one of the principle researchers of Nano Biotechnology Research and Innovation (NanoBRI@INFORMM) team at Institute for Research in Molecular Medicine (INFORMM) in USM.